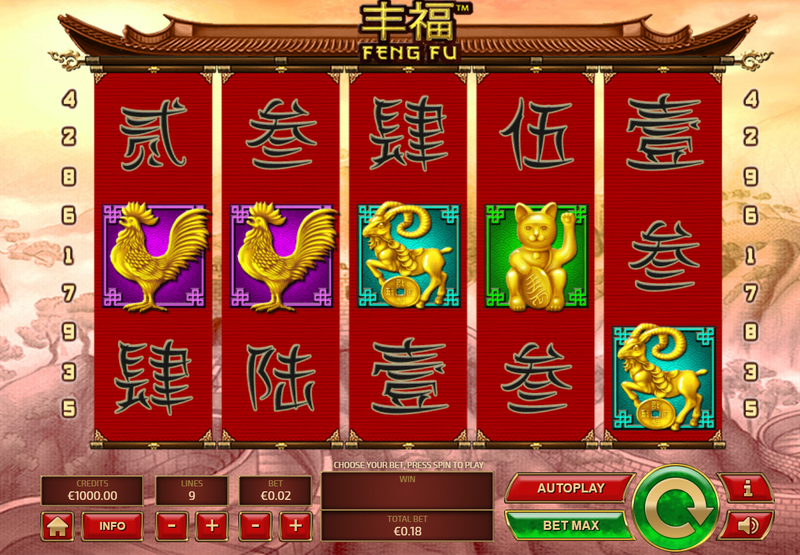 Casino online slots don’t have to be action packed for you to enjoy them, with Feng Fu taking a more relaxed approach to life and its intricacies. This oriental themed title is as tranquil as a still lake, with all the focus having been put into the simplistic beauty of its 3x5 grid and 5 reels. Compared with 243 Crystal Fruits, it’s hard to be believe both games come from the same developers, and yet Tom Horn is behind Feng Fu as well. Why not sit back and take in the views of the mountains, while sipping on green tea as you navigate the 9 winlines of the matrix? You can even reduce the number of winlines if you’d like, just so you experience more of a challenge throughout your quest to find inner peace. Of late, Tom Horn has been busy building multiple partnerships with numerous iGaming brands, in a bid to make further headway inside the market. Although this is the case, Tom Horn is a label that’s been around for a good few years now, having first started out in small offices within Eastern Europe. The brand has since expanded, having placed offices all around the globe, with their technical base situated in Costa Rica; this in turn has meant they’ve been able to connect with the iGaming community more easily, and therefore create more accessible software. Nonetheless, despite their continued hard work, Tom Horn isn’t the most well-known name within the market, and so it has to work twice as hard to win fans over with their spin slot games. Venturing inside the temple of this game now, we can see that the controls have been kept simple and easy to follow, so that making a bet and turning on the autoplay feature is as easy as can be. No matter if you choose to play hands-on or hands-off, the free spins and expanding wilds can still work their magic upon the winlines. This is far from a ram packed game, spilling over its edges to bring you bonuses, and yet the scatter icon can bring an enormous payout of spins and cash. As for the wild symbol, that can equally be a good money maker, although not quite on the same scale. * Expanding Wilds: If you manage to get three symbols all on one reel, you’ll watch as the golden dragon unfurls, delivering up to x8 in its wake. 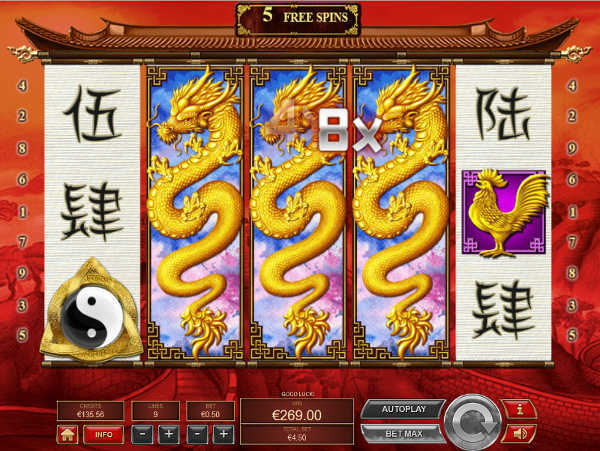 * Free Spins: The Yin and Yang icon is the scatter icon, with you needing to get between three and five of them for the free games to begin. Everyone will start off with 10 games, with the chance to win more if they manage to line up another scatter combo. Should you get the expanding wild during this time, all wins will be multiplied by x2.